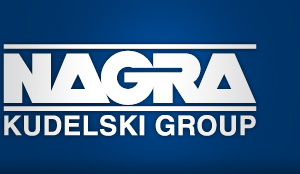 Kudelski Group Careers | Job, Security Solutions Engineer. Part of the Kudelski Security DevOps teams (“you build it, you run it”), within Software Integration and Tests group, the candidate provides software test and integration support to enable the rapid integration and assessment of the software parts used within Kudelski Security next generation SOC: The Cyber Fusion Center, so that business continuity and quality is guaranteed. Following DevSecOps culture, the candidate ensures that the security is continuously checked all along the integration and delivery pipeline, by configuring and maintaining several security tools used within the CFC and keep the high-quality level provided by Kudelski Security. The candidate works also on maintaining and make evolving other parts of the solutions, for example by administrating or customizing ServiceNow ITSM ticketing system. Suggest and implement improvements related to 3rd party software integration and operations. Help the development team with the technical specification to integrate 3rd party software. Help the Product Owner translating business features into technical user stories and tasks for 3rd party software integration and testing. Suggest key innovations. Be the expert within the team for specific vendor solutions, such as ITSM, Threat Monitoring, SIEM, Vulnerabilities Management, …; being point of contact with vendors to understand new releases and reference design and communicate with vendor support to solve issues. In collaboration with the infra team and system engineers, setup tools and processes to automate software deployments and tests to level-up product quality as much as possible. Develop company-wide best practices for security and promote DevSecOps practice. Responsible to automate security checks on the CI/CD pipeline and vulnerabilities assessments. As part of a multi-disciplinary team of developers, infrastructure experts, developer experts, the candidate could work on other parts of the solution (development, system configuration, ….). Implement and use operational tools allowing to monitor, administrate and support technical components to ensure the whole Cyber Fusion Center solution is up and running. Participate in the 24/7 on-call service up to 1 week per month. More than 2-year experience with ServiceNow and having already customization experience. ServiceNow admin certification is a plus. IT Operations experience in various field such as. Experience in Continuous Integration (CI), Continuous Deployment (CD) tools. Experience with Logstash, Docker and Kubernetes are a plus. Advanced university degree (master degree) in technology / computer science required; Candidates with lesser academic background can be considered if supported by extensive on-field experience and track record. 3 to 5 years’ experience in testing and integration.